. يقدم Queensleigh Holiday Apartments خدمات لا غبار عليها وكل أشكال اللياقة وحسن الضيافة اللازمة لإسعاد ضيوفه. يمكن لضيوف الفندق الاستمتاع بالميزات التالية على أرض الفندق: مكتب الاستقبال على مدار الساعة, مرافق مخصصة لذوي الاحتياجات الخاصة, تسجيل وصول/خروج سريع, تخزين الأمتعة, واي فاي في المناطق العامة . استمتع بوسائل الراحة الراقية في الغرف أثناء إقامتك هنا. بعض الغرف تتضمن غرف لغير المدخنين, مكيف هواء, شرفة/ تراس, تليفون, مروحة لمساعدتك على استعادة طاقتك بعد يوم طويل. يمكنك الاستمتاع بالأجواء المريحة التي تقدمها حوض استحمام ساخن, مسار جولف - ضمن 3 كم, حمام سباحة خارجي, سبا, حديقة طوال النهار. مهما كانت دواعي سفرك فإن Queensleigh Holiday Apartments هو خيار ممتاز لإقامتك في جولد كوست. The apartment we were in was a little tired and could do with some updating but was clean and adequate and good value for the cost.. The location was great, close to beach, restaurants and shops. The pool and spa were excellent and we could see the sea from our balcony. Overall a great stay. Thanks Max. Max was ridiculously friendly when checking us in and we found that while the unit was older, it was freshly painted, clean as a whistle with new carpets and really well equipped with fresh bedding and kitchen needs. We loved the location for beach trips and shopping and we could not fault Queensleigh. We will return! I would never recommend or book there again. My house is old but this room was worse. Shower door nearly broke, tiles falling off in bathroom, toilet door didn’t close properly, disgusting cupboard, towel rail missing, bed so hard and uncomfortable, bug and big moth in bedroom, i washed plates and cups before I used them as they were greasy and coffee stains. It was the worse place I have ever stayed in and never again. We stayed for 3 nights and were charged extra for an additional person but the facilities (tissue paper/coffee bags/milk...) provided were just as if it was a 1-night stay with no extra person. The oven was so dirty we dared not use it. The floor was sticky. We knew beforehand that there was no servicing during our stay but we would suggest that there should be facilities provided so that we could do the cleaning ourselves. Great location & room, couldn't have asked for much more for our quick visit! 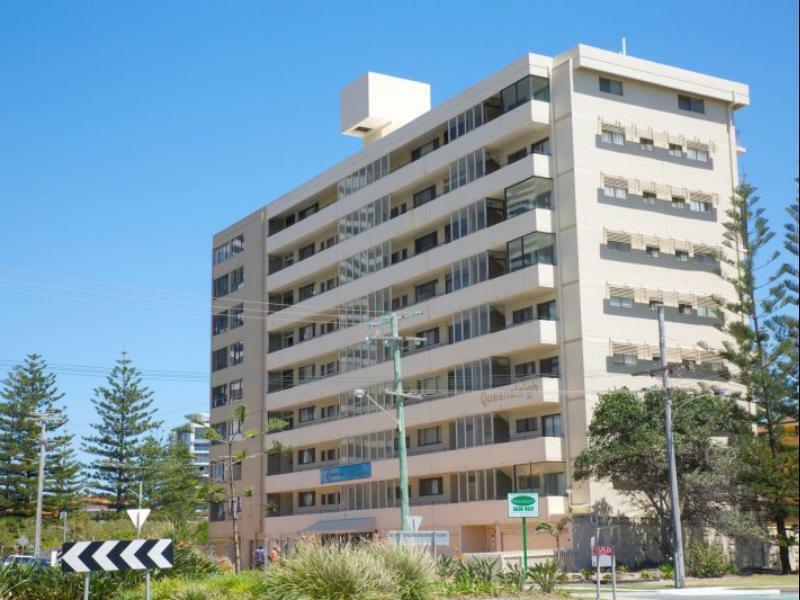 Loved that these apartments were so close to the night life of Broadbeach. The building is very old and worn but was still value for money. We enjoyed our stay. terrible not worth the money at all. terribly run down booked for 2 nights only stayed one and looked for somewhere else in the area and rhe manger was rude when i handed back my key early, knowing we werent going to be refunded. i was fine with not being refunded. the place really needs major renovations to be updated inside and out. i dont recommend this place at all. The location and the competitive rates are the two biggest selling points for this property. It is an older complex, but it is clean and the spa is fantastic. We have stayed here many times and will again. Pros..ocean views, great location, huge apartment, very clean, comfy beds, quiet street, free parking.Great pool. Cons..couldn't lock screen doors. This was a 3 star apartment but will definitely go back. Great location. 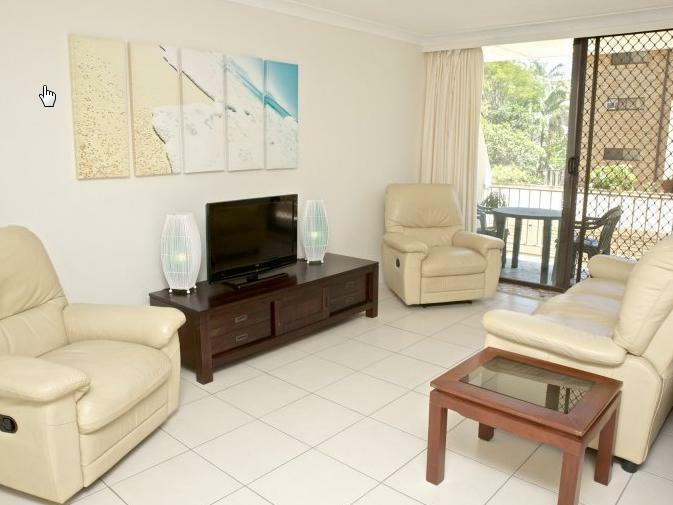 The apartment is located near to the tram station, shuttle bus stop and beach. It's just takes 15 mins to surfer paradise. There are lots of restaurant and supermarket nearby. The best thing about this apartment is the fantastic location. It has been recently renovated, but still has a fabulous 60's charm! location to everything we are interested in, value for money and staff friendliness,clean and comfortable. Manager had a rubbish attitude. In the apartment that was assigned to us (2 couples), there were 2 bedrooms. Only one room had an aircon. The other room did not. We manage to find a fan from the cabinet but when we try to turn it on we realised it was faulty. We went down to ask the manager for another fan. He simply shrugged his shoulders and said that it is 5plus n it is a Public Holiday he couldn't get one today. So FINE! We stayed for 3 nights. He didnt even bother to get a fan the following day and in the end we had to get one overselves. The floor of the apartment felt like it has not been mopped or swept in the last decade. Had to wear footwear while in the house only till we get on the bed. Facade of the building look so 1960s. Old and run down. Just like the inside. Only good point is that the building is in a relatively good location. 2mins from the beach and 5mins from a shopping mall with food and supermarket. other than that. I am confident to say I will NEVER recommend this place. Neither will I ever return to this place.